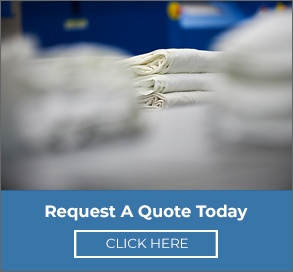 Goodwill Industries of Southeastern Wisconsin has been a provider of quality laundry services since 1974 when we began processing laundry for the U.S. Naval Base in Northern Illinois. Our customers now include hospitals, clinics, nursing homes and hospitality businesses throughout Southeastern Wisconsin and Northern Illinois. Our facility processes over 14.5 million pounds of laundry per year. Goodwill's 55,000 square foot laundry facility located in Milwaukee has easy access to the freeway system, which allows us to be efficient and cost-effective with our pickups and deliveries that occur seven days per week. Goodwill has a complete line of straight and semi trailer vehicles driven by a dedicated staff of trained, and insured CDL licensed drivers. Goodwill's Laundry & Linen Services uses state of the art equipment and technology and is maintained by a highly skilled staff of mechanics. 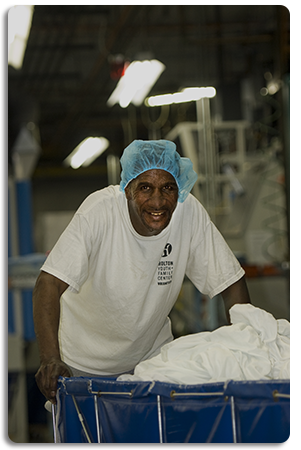 Goodwill Laundry & Linen Services is one of only a few laundries in the United States to be HLAC accredited, which means our customers benefit from our high quality standards and our philosophy of continuous process improvement. Our goal is 100% customer satisfaction and we do this by delivering a quality product, at a reasonable cost, within customer specified delivery times. It also means being extremely flexible to meet the changing requirements of individual customers. Goodwill Laundry & Linen Services monitors quality through regular customer meetings and on-site customer evaluations. The laundry facility maintains a rigorous schedule of inspections and reviews to ensure the highest standard of sanitation and safety for our products. Our staff is highly trained through our Workforce Development programs, reliable and serve as an extension of our customer’s workforce. We have exclusive backup agreements with linen vendors and laundry providers should any type of major emergency rise, again assuring customers that their service will be on time all the time. 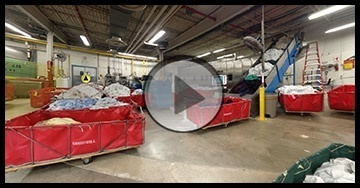 Click below to take a virtual tour of our laundry facility. To move around the room, click and drag your cursor. To move from each room, click on the black and yellow arrow. To exit, click your "back" browser arrow.